Hong Kong Airport may be damaged and not operational. Severe damage is reported to many aircraft parked at HKG. Macau, the Asian gambling capital nearby, closed its casinos. This is the first time ever sin city of China closed. Macau has more tourist traffic and gambling revenue than Las Vegas. Hong Kong streets are empty, visitors and residents are taking shelter in the skyscrapers and hotels. Hong Kong Tourism Board and Visit Macao websites published no information, advice or warnings to guide tourists on this deadly typhoon. Aviation, tourism, and transit came to a stillstand today in Hong Kong. Hong Kong Airport, a central transit point for much of Asia, was virtually shut down, with almost 1,000 flights canceled or delayed today. Video footage witness the damage the airport is sustaining. The outdoor sections of the city’s vaunted subway system were taken out of service, and high-speed rail in the neighboring Chinese province of Guangdong was also shut down. 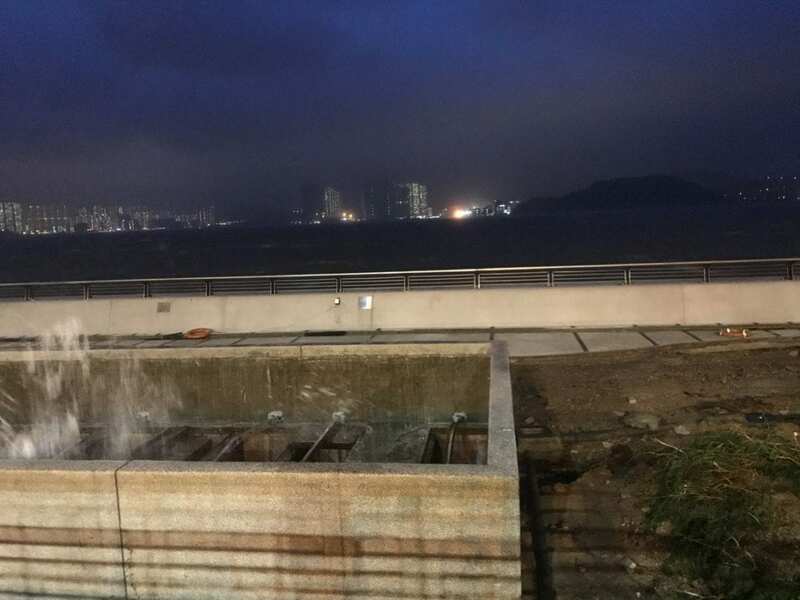 Locals and visitors in Hong Kong and mainland China have taken to social media to post videos of the widespread destruction, shaking buildings, caused by winds of more than 250kmh and waves over 12m high. “Oh Allah please protect the people of Macau, the US, Philippines, Hong Kong other places from the devastation of typhoons, cyclones hurricanes.”, says a tweet from a reader. The number of people killed by Typhoon Mangkhut in the Philippines earlier has jumped to 49. The super typhoon swirled past Hong Kong on Sunday, moving on towards the Chinese coast, gaining strength crossing the South China Sea. Typhoon Mangkhut made landfall on the southeastern coast of China on Sunday, after battering Hong Kong with winds of up to 160 miles an hour, sweeping through the city’s canyons of tall buildings and causing 11-foot storm surges in Victoria Harbor. The Hong Kong Observatory (HKO) raised the storm signal to T10 — the highest level possible on Sunday morning local time, with the city almost entirely shut down. The winds have already torn off roofs, smashed windows and downed trees in Hong Kong, as authorities warned of the threat of storm surges and flooding from torrential rain. For the first time ever, Macau, the Asian gambling capital nearby, closed its casinos because of a storm. Students for Europe – Europe for students? Hawaii’s Kilauea Volcano erupted: Tourists and Residents must leave now!